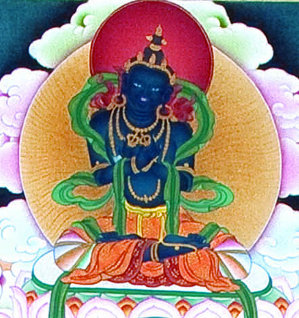 Vajradhara (Tib. རྡོ་རྗེ་འཆང་, Dorje Chang; Wyl. rdo rje ‘chang) — the 'Vajra Holder', the primordial buddha. It is also an honorific title reserved for the very seniormost masters, such as Jamyang Khyentse Chökyi Lodrö. This page was last edited on 13 June 2018, at 23:45.